We have arrived after one intermediate stop. While we could have made the journey from Vicksburg to Jasper, AL (300 miles) we were not in a hurry so we opted for an overnight spot. Looking at the map, we hunted for a spot the was mid way. That is when we found Lake Tiak O’Khata Resort. This is a family owned business that is rich in history dating back to the Civil War. We recommend this place as an overnight or destination spot. One advantage of stopping here is the onsite restaurant. Food was good – especially the Caramel Cream Pie. Saturday morning, we stopped at McDonald’s for breakfast and to use their free WiFi. After taking care of downloading updates and a relaxing breakfast, we headed out about 10ish. Sunny, blue skies and temperatures in the mid 40’s lead us to Columbus, MS. Traffic was very light and roads were pretty good. We crossed into Alabama around noon on MS50/AL96. 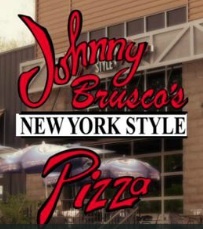 In Jasper, AL we parked at WalMart and walked to Johnny Brusco’s New York Style Pizza. They were a bit behind in cleaning up from the lunch crowd but the pizza made up for that. We will come back to this place. Best pizza in a long while. Carol went into WalMart to pick up a couple of items while I headed to Murphy Oil for a final fuel stop for Cramalot Inn. Twenty miles later, we pulled into Clear Creek Recreation Area. We were greeted by Jody from forestry service. He will be our go-to person. He led us to our temporary site where we will be until mid-week. As we were setting up, a contract worker came to us to tell us he heard rushing water near an area he was working. Since we are the only folks in the park, we took off to find the problem. We discovered a water spigot that was stuck on. Of course water was running everywhere. We got the spigot closed and made note of this site so we can get that fixed later. Other workampers will begin to arrive on Friday March 1st. Then the real work begins. The park official opens to public on Friday March 15th. We will have two weeks to get this park and Corinth Rec Area (across Lake Lewis Smith) ready. We drove Cramalot-Inn 915 miles. She drank up 138.5 gallons of gas that cost us $501.67 and averaged 6.6 mpg. We drove Queen’s White (our car) 1051 miles. She drank up 43.77 gallons of gas that cost us $158.33 and averaged 24 mpg. 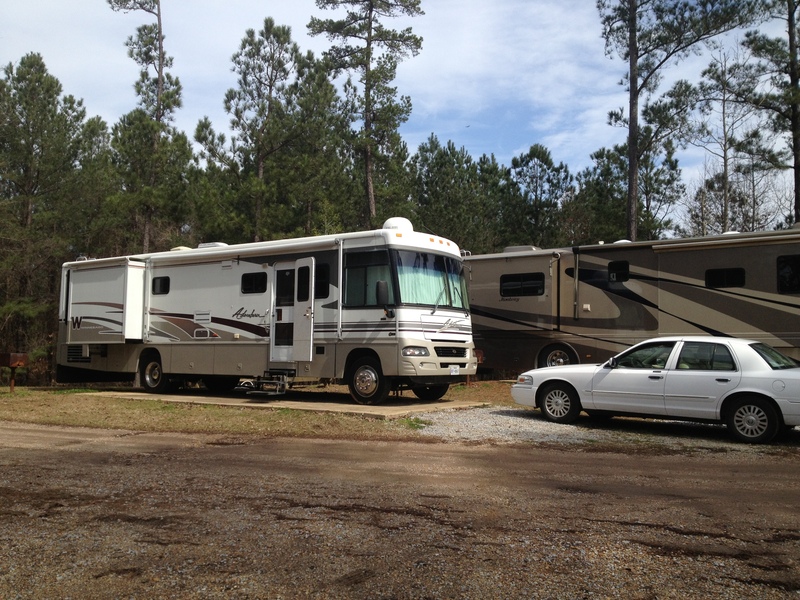 RV Park expenses came to $141.33 and eating out came to $284.12. Total trip expenses, $1,085.45 or $1.00 per mile. Donations are excepted. Today is our day to take care of laundry, do a little grocery shopping and get oriented to our new home. If you are in the area, we invite you to come visit.